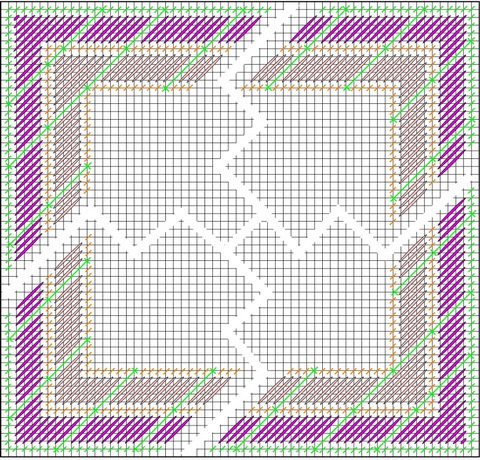 I am still working on my Canvas tutorial…how to use. There is an interest, maybe not a large following but I think anytime you can help someone reach their goal; it’s a good thing. 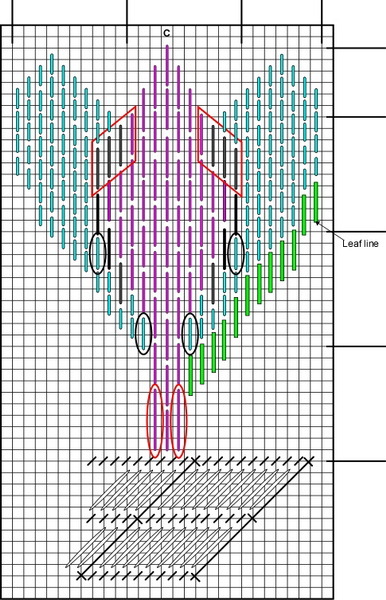 I would much rather help someone learn to produce good stitch guides than to have them commit copyright infringement by photocopying books for stitch guides or heaven forbid other stitch guide stitches. Oh my, did I open Pandora’s Box! 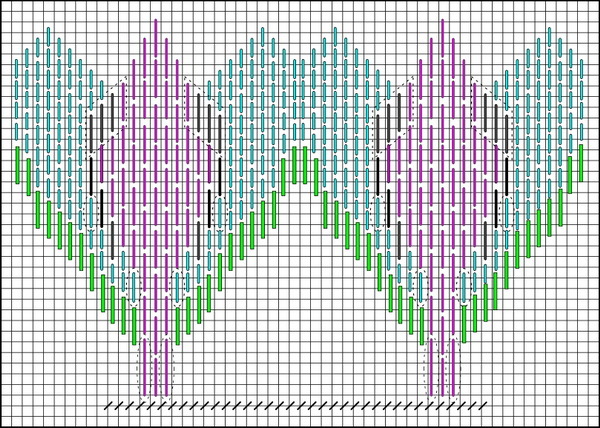 I got out two UFBS boxes (Unfinished but stitched) to see what I had. 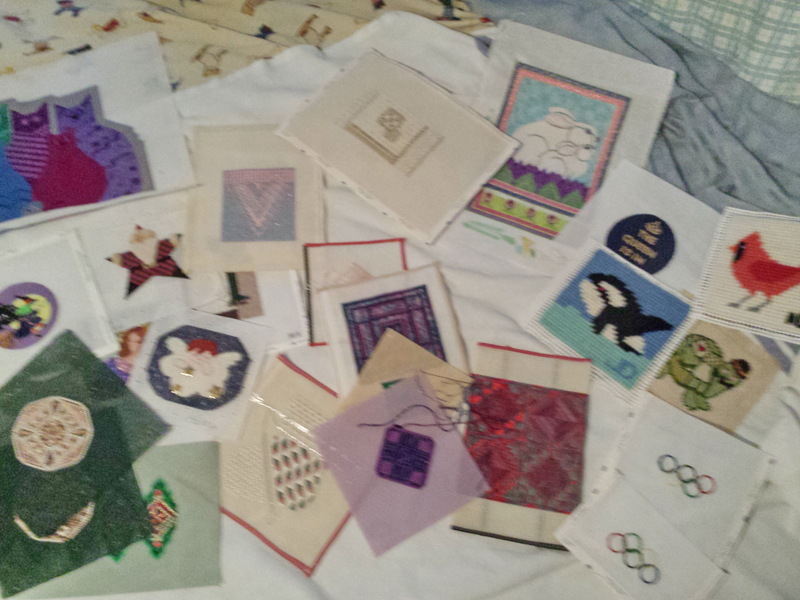 I stopped counting at 25 finishing projects and that was not pieces but projects. I have about 24 Halloween pieces and I only counted them as one and the 5-6 roll ups I counted as one. I found original designs I have not yet put in the computer. Oh my, UFBS boxes have become Pandora Boxes and have unleashed a monster; I may never get out of my sewing area again! 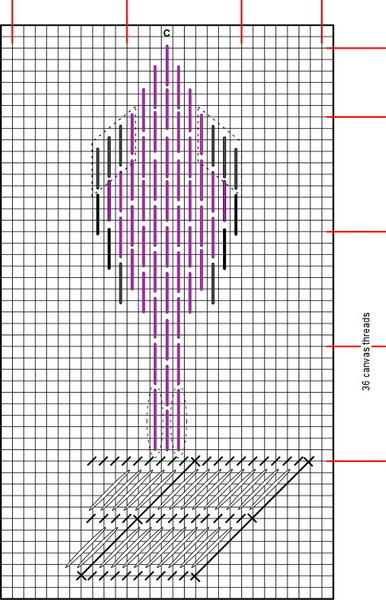 But I am going to start and some of my original pieces I will include finishing instructions with my charts for those that want to give finishing a try. I spent last week-end getting organized and putting everything in one place. I had finishing here and there. Well, it made it look like I didn’t have a mountain but just little molehills. Now I ‘m looking at this mountain of finishing as lots of practice. Over the years I have amassed in my library many books on finishing; and yes I found one I did not have so I ordered it. There has to be some compensation or taking on this massive project and I already have more than enough stitching so why not another book. 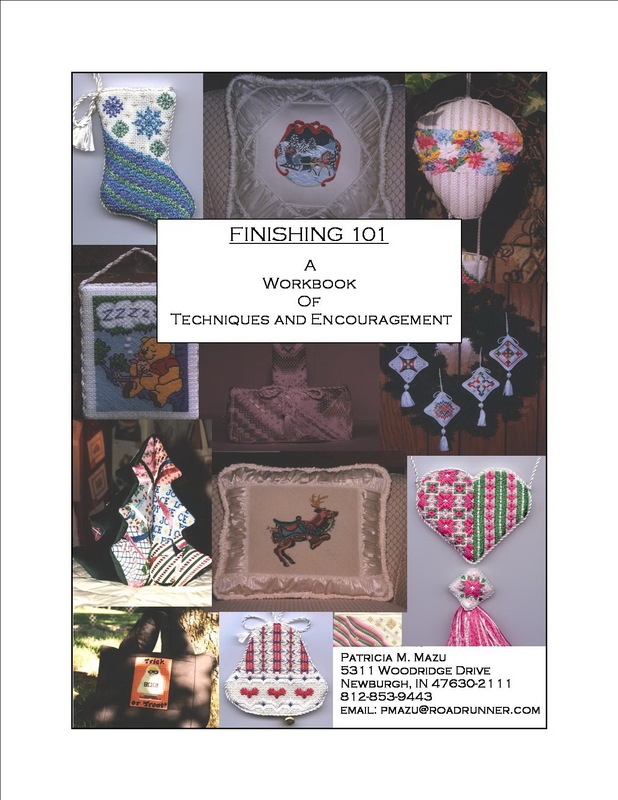 I ordered Pat Mazu’s Finishing 101 from Stitching From the Heart (http://stitches-heart.com/) I can hardly wait to get it. I have stitched a few of Pat’s stockings (think there is one on the finishing mountain as a matter of fact) and enjoyed it very much. I also contacted Pat to get permission to use her book picture and she is semi-retired but still does finishing for one shop. She said her finishing technique is pretty basic and so if you want the new stuff using styrofoam she’s not you girl. She also mentioned her bibliography and you know that means books…I could be in heaven. 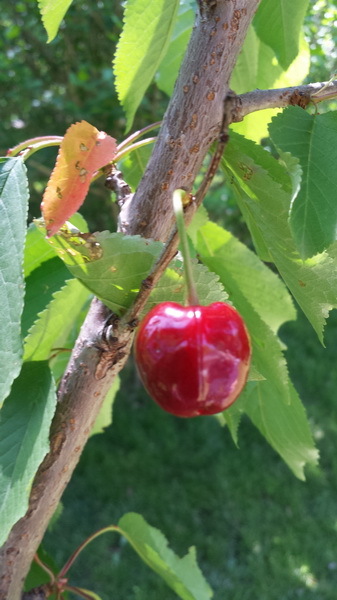 I took a class many years ago from Edie Weilemann and it was wonderful. 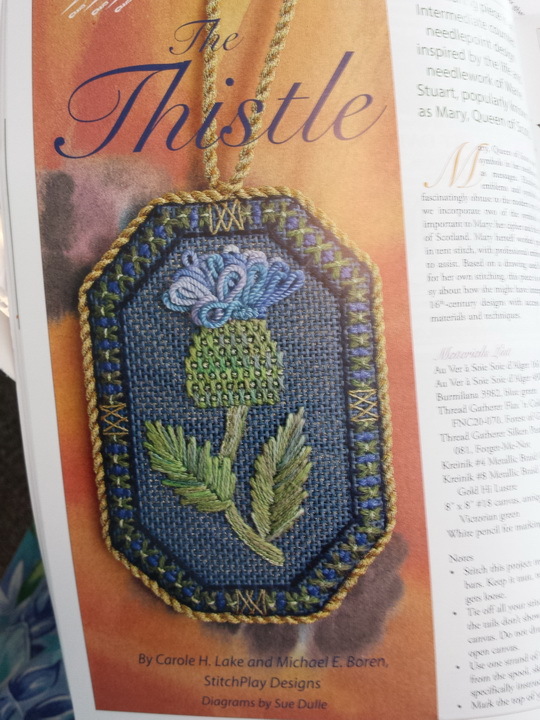 It was a hands on learning class and she gave us her book Finishing Needlework. I learned a bunch and hope it comes back to me quickly. I remember the lady sitting next to me said, “This is the best class I have ever taken! I am not a finisher but a stitcher. AND I will never complain about how much finishing costs again.” I may agree with her after this summer, we’ll see. I contacted Edie and she still does finishing…ummm good to know. And her book is still available. Look for her on Facebook. 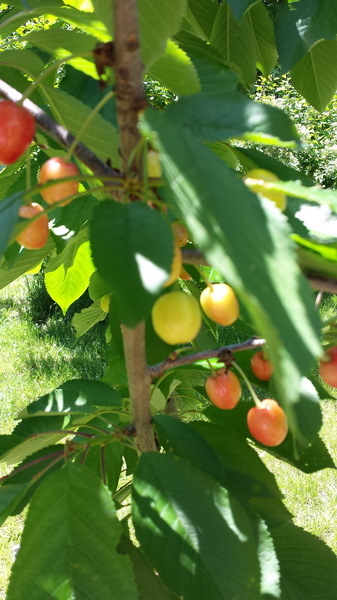 The following I found online so there are copies available should you want to join my summer project. 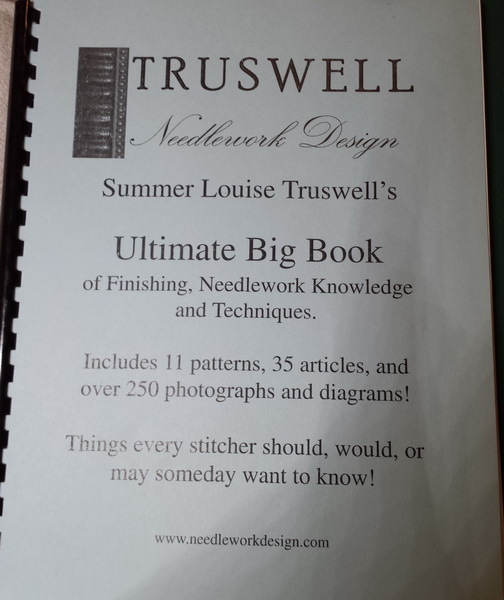 Ultimate Big Book of Finishing, needlework knowledge and techniques by Summer Louise Truswell. And of course I have books from the 70’s when rabbit glue was a finishing technique of choice…I think lucky for me I only had one piece finished this way. And funny thing about this piece was it went to Hawaii with a friend, and within a few months started to disintegrate. She took the piece to local framer and he knew exactly what was wrong with it and also told her rabbit glue drew bugs. 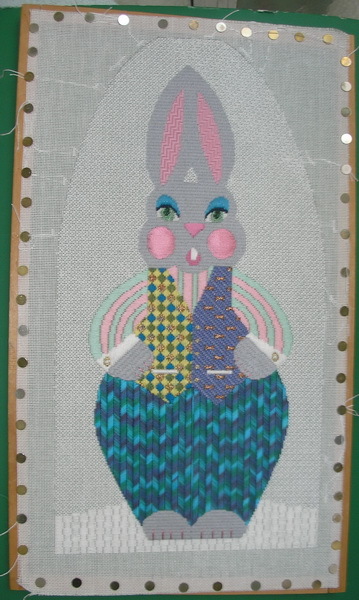 Well, I re- stitched her another piece but it was a lesson learned…no rabbit glue ever. Here are my older books and I refer to them but if investing I would go for the newer ones. Finishing and Mounting Your Needlepoint Pieces by Katharine Ireys. 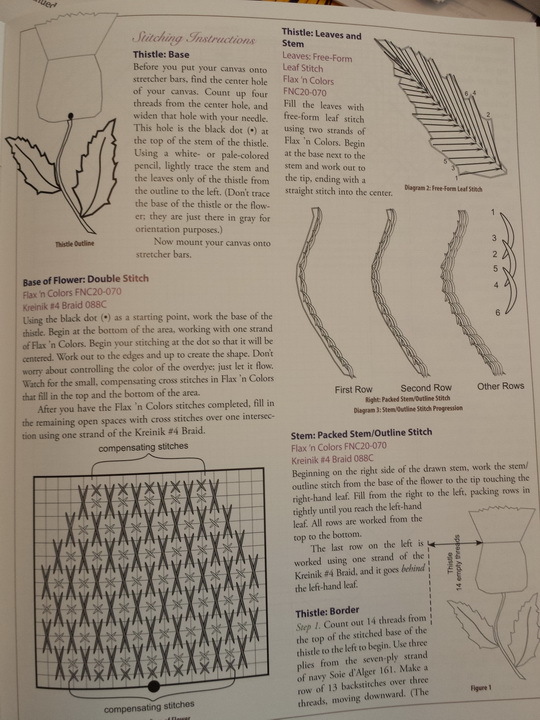 I have a notebook of finishing information a have gathered from various other sources, sometimes finishing instructions came with needlepoint, sometime I read a magazine article…and have even written some myself for guild projects. 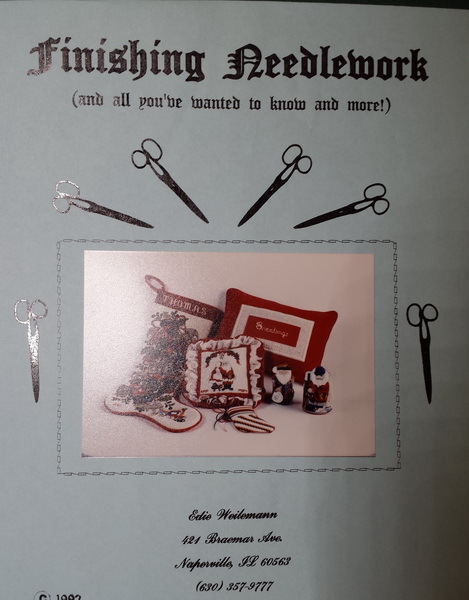 I also have many of the Singer Sewing books I plan on referring too also. The Singer books you can find on Amazon, Ebay or probably at local used book store for next to nothing. 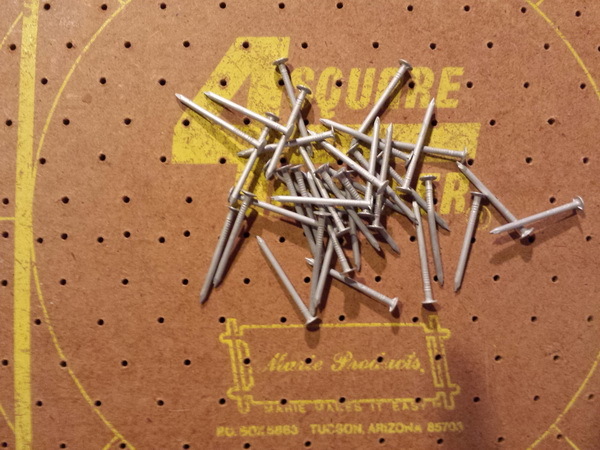 they are roofing nails because they won’t rust. Edie used a Marie Products board (maybe that’s when I got mine and am not sure where to get today) and Sandy suggests a pine wood board. I have known people who block on their ironing board very successfully. 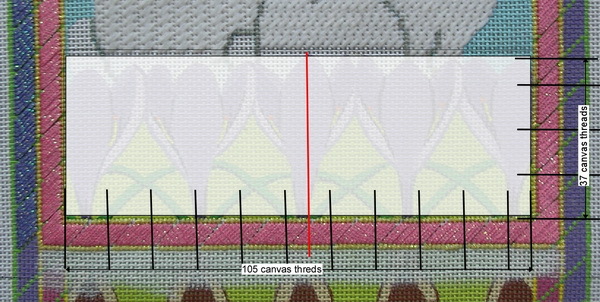 BUT you need to block needlework, it just looks nicer! I try not to wet my needlepoint either but if I have to mist, I do so with my blocking board lying flat with an old towel beneath it. 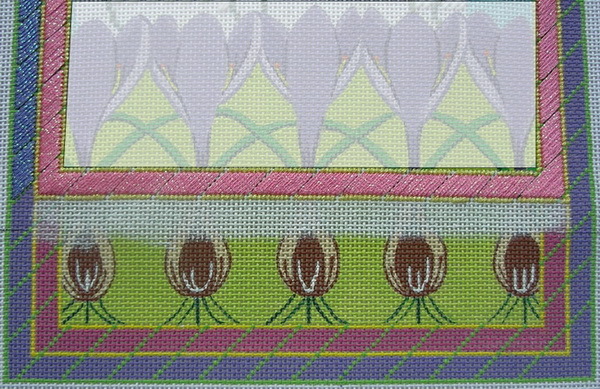 I don’t know how I feel about washing needlepoint. I have never had to do this but I would be careful about threads bleeding. Supplies vary from project to project and next time I will list some of the things I think are essential in a sewing finishing box. As I was tiding up my office I found three more pieces to add to the needs finishing projects. I am going to stop moving things around; out of sight, out of mind works for me…This new project may get overwhelming.